ALL'S WELL: Simone Chadee with her newborn daughter. THE South West Regional Health Authority (SWRHA) has congratulated Simone Chadee on the birth, last Friday, of her healthy newborn daughter. The mother of four delivered Athena Rivers in a moving car after staff at the Marabella Health Centre allegedly turned her away while in labour, saying they did not have the facilities to deliver the baby. 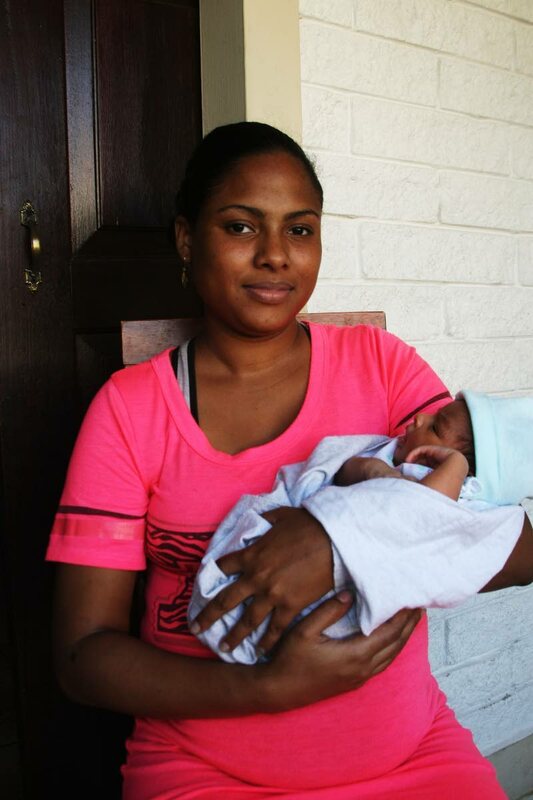 Chadee gave birth on the back seat while being taken to the San Fernando General Hospital (SFGH). The SWRHA, in a media release yesterday, said its investigations showed that on arrival at the centre, Chadee was taken to the examination room for assessment by a medical doctor and the district health visitor who is an experienced, licensed midwife. The baby weighed 2.8 kilogrammes. “The assessment revealed that the patient had ample time to arrive at the San Fernando General Hospital which is better equipped to treat with any complications arising out of delivery.” The authority said, on arrival at the emergency department of the hospital baby and mother were examined and found to be in stable condition. The release said they were taken to the obstetrics department where they received care. “The mother and baby were discharged the following day in a satisfactory condition. The SWRHA wishes to reassure the public of its commitment to compassionate and quality health care.” Shortly after 4 pm on Friday, Chadee, who lives at Marabella, went into labour at home. She hired a car to take her to the health centre. She alleged that staff scolded her on arrival and suggested she should have gone directly to the hospital. Staff briefly examined her then told her to go to the hospital. Due to increasing traffic, the driver went to the Marabella Police Station from where police escorted them to the hospital. Former health minister Dr Fuad Khan has criticised the alleged decision by staff to turn Chadee away. Reply to "SWRHA congratulates woman who gave birth in car"